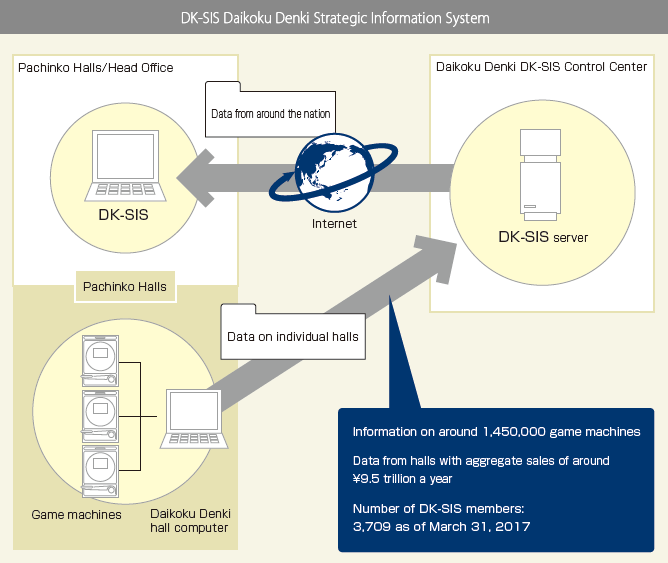 Known as DK-SIS, the Daikoku Denki Strategic Information System is the industry,s only service system to help pachinko hall operators formulate effective management strategies. First, they become able to obtain various statistical data on the entire pachinko industry and to formulate effective management strategies accordingly. 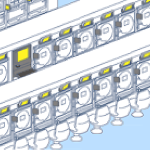 Data on pachinko halls nationwide that use DK-SIS are collected through the respective hall computers and fed back to the halls to provide objective standards, such as national averages, to evaluate and examine their own performance. For the replacement of pachinko machines, which provides an important opportunity to attract customers, a DK-SIS member hall operator can download the specifications of various game machines to be released, and compare them to identify those that best meet the hall’s requirements.